LingoDocs For Sale by Owner is one of the newest innovative ways to buy or sell a home. The do-it-yourself mentality in real estate has become an even more popular trend for homebuyers and sellers when trying to profit off of their investments. Purchasing or selling a home for sale by owner saves you from having to pay fees to agents and brokers. The LingoDocs For Sale Owner service provides all the ease in trying to save money when buying or selling FSBO real estate. We help you by providing you the tools and complete your transaction. 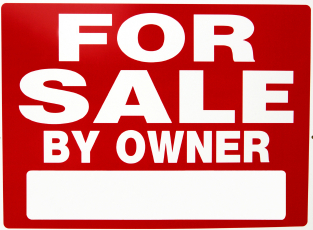 You can view other FSBO listings or post a property for sale to be viewed by others. Our website is one of the only for sale by owner sites that allows those in the market to add property for sale FREE. LingoDocs has found ways to save you money! We are a company that offers other services and when liked together, we are able to no only offer you everything in one stop, we able to keep the cost down. WHAT'S THE DIFFERENCE BETWEEN THIS SERVICE AND THE OTHER FOR SALE BY OWNER SERVICES? Here are a couple of reasons. Our Property Listing Website is not only Bilingual. It's FREE! We are the only Call Capture/Phone Listing service which offers your property in English and Spanish. We can also assist you in renting your property or Rent-to-Own. We offer what many other FSBO services offer with no hassle or commitments, plus much more. - Receive a Custom Market Analysis (CMA).